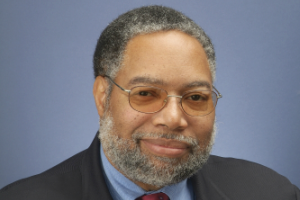 College of Arts and Sciences alumnus Lonnie Bunch (BA history '74 and MA history '76) and founding director of the Smithsonian's National Museum of African American History and Culture, will receive an honorary doctorate from Brown University during its commencement ceremony on Sunday, May 27. The National Museum of African American History and Culture opened in September 2016 to sold-out crowds and critical acclaim. Before it's opening, Bunch developed the museum's vision and mission, raised more than $500 million in funding, oversaw building design and construction, developed key relationships across the nation, and built the museum's collection — all from scratch. He currently leads the museum's work and mission: to tell the American story through the lens of African American history and culture. Bunch, who received his undergraduate and master's degrees in history at American University, credits his professors for creating a close-knit community and for challenging him to be the best historian he could be. He said he found a second home at AU, one that provided the kind of intellectual rigor and academic curiosity that stayed with him his entire life. "I would not be in this position if it wasn't for AU," he said during a presentation in spring 2016. "What AU did for me was help bring a sense of order and structure to somebody who just loved history and didn't really know what you could do with it and how to use it." Bunch's nearly 40-year career in the museum field has included leadership positions at the Smithsonian's National Museum of American History and the California Afro-American Museum in Los Angeles. He has held teaching positions at American University, George Washington University, and the University of Massachusetts. In 2017, he was elected as a member of the American Academy of Arts and Sciences. A prolific author, Bunch has written on topics ranging from slavery and the black military experience to the American presidency and the impact of funding and politics on American museums. His books include Call the Lose Dream Back: Essays on Race, History and Museums (American Library Associations Editions, 2010), Slave Culture: A Documentary Collection of the Slave Narratives (Greenwood, 2014) and Memories of the Enslaved: Voices from the Slave Narratives (Praeger, 2015).